Two microwave probe stations are available in this center for very low and high temperature applications. A cryogenic probe station allows us to perform microwave measurement up to 67GHz at temperatures as low as 4.7K. 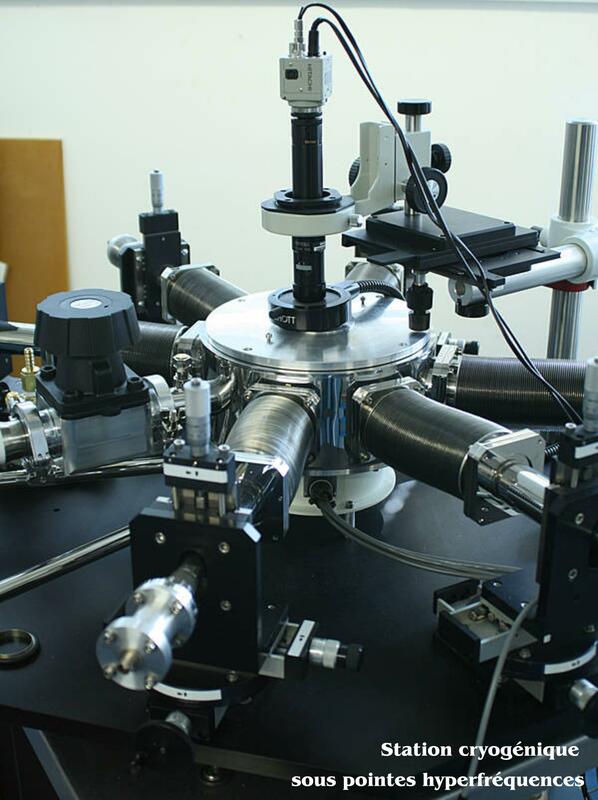 This test bench allows us to determine the noise model of devices. Another probe station has been developed and optimized in our laboratory in order to perform microwave measurements under probes up to 40GHz at very high temperatures up to 600K.